WASHINGTON – There is no evidence so far that Russian hackers are mounting the kind of "robust" attacks on state election systems this year that they did in 2016, a top homeland security official told a House panel Wednesday. "The 2018 midterms remain a potential target for Russian actors," said Christopher Krebs, under secretary of the national protection and programs directorate at the Department of Homeland Security. "But the intelligence community has yet to see any evidence of a robust campaign aimed at tampering with our election infrastructure along the lines of 2016 or influencing the makeup of the House or Senate races.," Krebs told the House Homeland Security Committee at a hearing on election security. In 2016, Russian hackers tried to breach election systems in at least 21 states, according to homeland security officials. Although no actual votes were changed, hackers broke into Illinois' voter registration database and stole some information. Krebs said it's likely that the hackers actually scanned the election systems of all 50 states for vulnerabilities. Russia also mounted a major effort in 2016 to influence the U.S. election through the use of social media on Facebook, Twitter and Google. Russian troll farms created fake social media accounts and websites to try to sow dissent among Americans on divisive issues such as race, gay rights, gun control, and religion. USA TODAY NETWORK reporters in May reviewed each of the 3,517 Facebook ads created by the Russia-based Internet Research Agency and found that most of them focused on racial issues. Krebs told lawmakers that the Russians are at it again this year. The intelligence community sees the Russians using social media "to influence or inflame positions on opposite ends of controversial issues," Krebs said. "These efforts seem to be more focused on dividing rather than on targeting specific politicians or political candidates. Nonetheless, we remain vigilant and any attempt to undermine our democracy will be met with consequences." State election and homeland security officials will meet in Philadelphia this week to keep cooperating on how to fix the cyber security of state elections systems, Krebs said. State election systems include vote tabulation systems as well as voter registration databases. So far, the Department of Homeland Security has completed risk and vulnerability assessments on election systems in 17 states to help local officials find and correct problems, Krebs said. The Russians will target the congressional midterm elections this November, said Rep. Michael McCaul, R-Texas, the committee chairman. "We need to be prepared," he said. 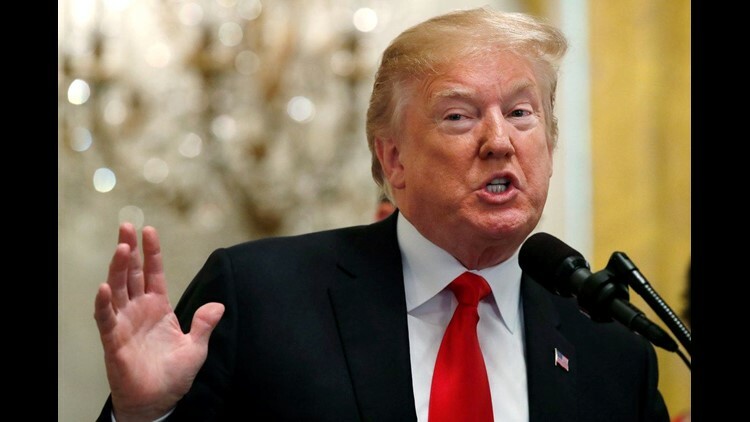 President Trump's behavior, most recently Wednesday in Brussels, is making Krebs' job harder, said Bennie Thompson of Mississippi, the committee's top Democrat. Trump accused Germany of being "totally controlled by Russia" and of not meeting its NATO obligations. The president is preparing to meet next week with Russian President Vladimir Putin to try to improve U.S.-Russian relations. "Instead of working with our European allies to confront Russia —a shared adversary whose attempts to undermine Western democratic institutions are growing more and more bold — [Trump] is trolling them to curry favor with Russian President Vladimir Putin." Thompson said. Thompson also expressed doubts about whether Trump will confront Putin about Russia's 2016 election meddling, which Putin has repeatedly denied. "President Trump has said he will address Russia’s 2016 election meddling in a meeting with Putin, but he has never demonstrated a credible ability to confront Putin with our Intelligence Community’s findings," Thompson said. "He has predicted his meeting with Putin 'may be the easiest,' so I have no reason to believe anything productive will come of it." Congress passed legislation earlier this year giving states a total of $380 million in grants to boost the security of their election systems. Lawmakers also approved $26 million for DHS to strengthen election cyber security. Rhode Island Secretary of State Nellie Gorbea thanked the House committee for the grants but said states need more money to replace their outdated equipment and boost their staffing.